1. WHEN (for the love of all that’s holy) will this be OVER!? 2. I just want to know what he (or she) looks like! 3. I’m so uncomfortable all of the time. 6. Yes, I’m doing jumping jacks. YES I WANT THE LABOR TO START! 7. House is clean, laundry is done, nursery is ready, and I’m caught up on my shows. What now? 8. I need another pedicure. It’s only been a few days, but I can’t see my feet to know if my toes still look nice. 9. I’ll have that fourth donut. I mean, I’m due this week, so I have to stop eating this junk in a few days. 10. I can’t wait to have my morning coffee, a glass of wine with dinner, and… oh my gosh, I have to pee NOW! Yes, all of this. How perfectly timed! 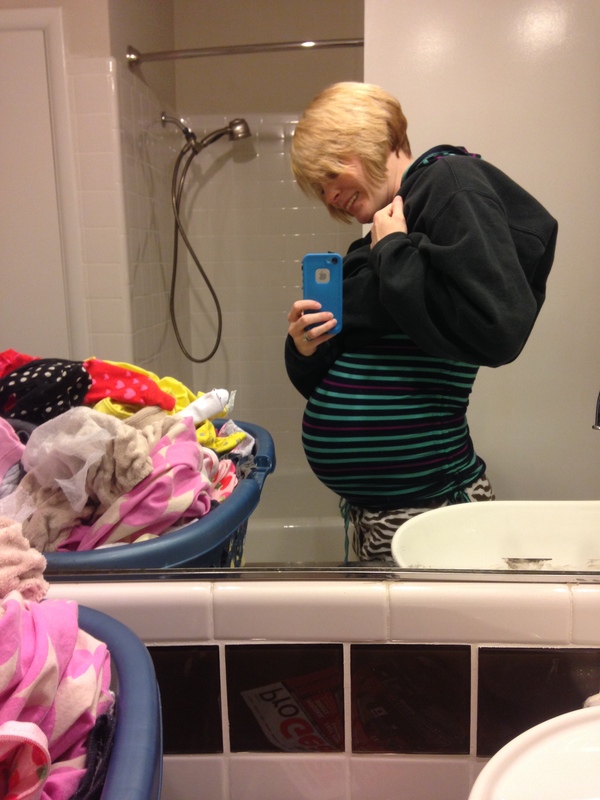 Here I am 39 weeks and 4 days pregnant and I CANNOT WAIT TO GO INTO LABOR! How is it that the last two weeks have lasted longer than the first two trimesters combined? Time warp. Especially if you’re already on maternity leave the last bit is excruciating! Good luck! Yes, yes, yes. I thought all of those things!